It’s Spring Cleaning Time! Tips to Make Your Life Easier! Although it may not feel like it outside, March 21 was the first day of Spring. 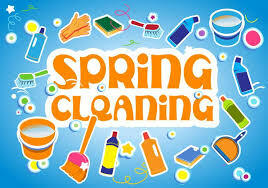 Spring is considered a time for new beginnings, cleaning and organization around the house.